AARP (American Association of Retired Persons) recently reached out the Pasadena Police Department for assistance in developing and producing a video on ATM skimmers for their Fraud Watch Network on Yahoo.com. One of our resident experts, Cpl. Paul Granados, made a guest appearance and assisted the production company by contacting Secret Services who lent us actual ATM skimmers that were used for the video production! As an existing 2011 Nissan LEAF owner, and seeing the various upgrades that Nissan has implemented over the years since the first introduction, this is the most significant update Nissan has done to the Nissan LEAF. Some highlights include, longer range, but still far short of the Chevy Bolt and Tesla Model 3. This will pose a significant problem for Nissan as they will be competing against the Bolt and Model 3 and others. Join us for a frightfully good time for the whole family! On Saturday, October 28, from 10:00am-12:00pm One Colorado hosts their annual Pumpkin Decorating Extravaganza. Kids can get busy with glitter, glue sticks, markers, to decorate their own pumpkin to take home. On Tuesday, October 31, from 5:00-8:00pm, bring your costumed ghosts and ghoulies to trick-or-treat store-to-store in Old Pasadena. Look for our Ambassador Guides and friendly characters who will be handing out treats, greeting our visitors, and posing for photos. 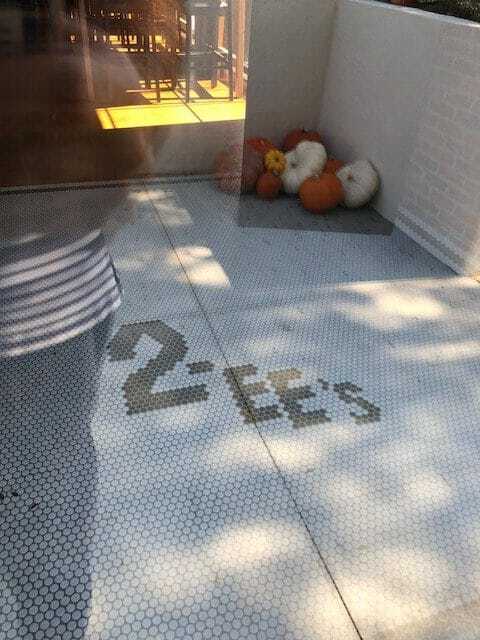 One Colorado offers free “haunted photos” in their courtyard, and a screening of “ParaNorman” at 7:00pm. Update: Grand Opening is scheduled for November, 3 2017 at 5pm. 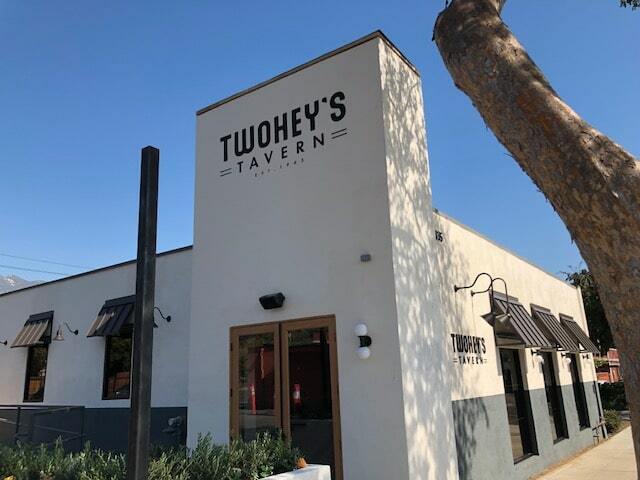 Twohey’s Tavern is a lively new restaurant that pays tribute to the classic American diner in an updated Tavern setting. 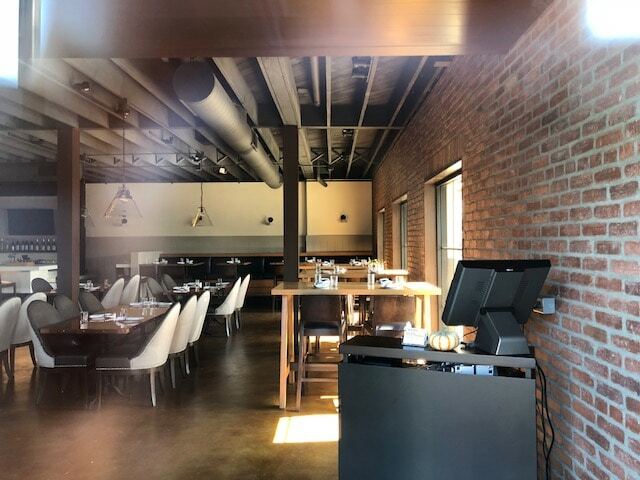 Chef Travis Limoge utilizes timeless and contemporary culinary techniques with a commitment to seasonality, to bring each guest a modern experience and celebrate classic American dining. 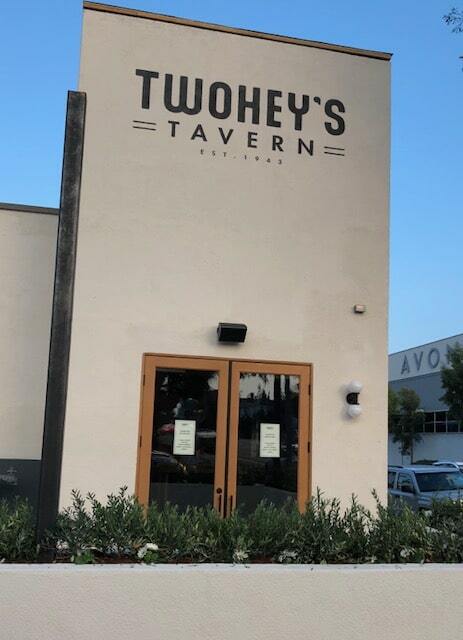 Guests will also enjoy the exciting new beverage selections at Twohey’s Tavern which will include craft beers, special select wines, handcrafted cocktails and a special new menu featuring whimsical new twists on the classic Milkshake. USPS Informed Delivery Signup Or Not? Hi everyone! I just signed up for informed delivery yesterday and, so far, it has just said no mail is expected for today. It took me forever to get through the online verification portion of signing up so I’m really disappointed that this service doesn’t even seem to work for us! It’s a great service once you set it up. Not sure why yours is doing that. My friend couldn’t verify himself online so he had to go into the post office to complete it. The security questions they asked me were actually about my mom (who has never lived here and lives in another state). Are multiple people at the same address able to sign up? Maybe someone else is set up to receive your emails? Thank you for registering with www.USPS.com. To learn more about Informed Delivery, please visit the Informed Delivery FAQs. The first game of the 2017 World Series has been set, the only thing missing is the time and the opposing team to the Los Angeles Dodgers. SeatGeek a site that has tickets for many events has tickets available started at $1300(before fees). You can see what is available by going to the SeatGeek 2017 World Series Game 1 page. As a resident native of Los Angeles I am rooting for the Dodgers. Traffic around Dodger Stadium on Tuesday will be thick, so avoid the area unless you are going to a game. Person goes into Nissan dealer, sees a Nissan LEAF 2013, used less than 30k miles, in great condition. Buyer: How far can you I drive this car? Salesperson 100 mile range no problem. Buyer drives off with Nissan LEAF. Drives to Burbank first day, makes it to office, no problem, even plugs in on a trickle charge, and gets close to 80 miles of range when he starts to head from Burbank to Palmdale, he gets maybe halfway and the car runs out of charge, drive is left stranded and has to call for roadside. Where was the failure here? It sure seems like the dealer failed to adequately explain range, and all the various variables that affect range of electric cars. The dealer was able to put the buyer into a Versa which was probably the best choice from the start. Nissan has a problem with properly training sales people to prevent this sort of failure in the process. As it is a Nissan LEAF can be purchased for under $10,000, which situations like this will surely not help. Disclosure – I am an original Nissan LEAF owner, purchased the 2011, got it in 2012, lost range to about 50% in less than 4 years. Nissan refused to replace the batteries which had engineering flaws, lost power in hot climate conditions, or repeat L3 charging. then there is speculation there was a software update to manipulate the battery levels. After having a car that was pretty much useless to drive from Burbank to Pasadena round-trip without charging, after a few repeated L3 charges, the battery capacity dropped to the “required” level and Nissan replaced the batteries with “new and improved” batteries, which are showing signs of degradation after less than a year. Vroman’s Proudly Presents A Book Signing with HILLARY CLINTON! present a signing with Hillary Clinton! Complete event details and information are below. Tickets are now available! To purchase click HERE. Tickets appear to be SOLD OUT. In these pages, she describes what it was like to run against Donald Trump, the mistakes she made, how she has coped with a shocking and devastating loss, and how she found the strength to pick herself back up afterward. With humor and candor, she tells readers what it took to get back on her feet–the rituals, relationships, and reading that got her through, and what the experience has taught her about life. She speaks about the challenges of being a strong woman in the public eye, the criticism over her voice, age, and appearance, and the double standard confronting women in politics. · This is a book signing only. Each $30 (+tax) ticket includes a wristband to access the signing line and 1 copy of What Happened. · No line-up’s before 8am on 12/1/17. The line is first come, first served. Saving spots will not be allowed. · Books will be distributed at the signing table during the event. They will not be available beforehand. · Wristbands for entry will be distributed beginning the morning of the event. Photo ID and your ticket will be required to pick up your wristband. Name on the ID must match the name on the ticket. Please make sure you have printed or downloaded your ticket to your phone. · All attendees will need to be in line, no later than 11am. It Takes a Village available for sale that day at the signing line check in point. They will be available for purchase by standing ticketholders only; one copy per person, while supplies last. · No additional books from home or backlist will be allowed or signed. · Anyone without a ticket will not be permitted to line up nor will you be allowed in or near the event space. · This is a Secret Service event. Leave large bags, purses, and personal items at home. Any personal items that cannot be pocketed will not be permitted in the signing space. This includes backpacks, purses, shopping bags, etc. There will not be a bag check at the store, so please leave large items in your car or at home. No exceptions. – The 3pm noted as the end time for this event is only an approximate time. Please be aware that event could run longer (as late as 7 or 8pm) or shorter than approximated so it’s most important to be in line by 11am to ensure that you get your book signed. For collectors, life is an ongoing quest to clear shelf space. But even the savviest collectors may have trouble finding room for all the cool stuff DesignerCon packs under one 90,000-square-foot roof at Pasadena Convention Center. From sci-fi figurines to whimsical wearables, indie comic books, toys that put the “oh!” in adorable, underground fashion and beyond, there’s something for pop culture enthusiasts of every stripe at this annual weekend-long bonanza of art and design. Shop at more than 400 vendor booths as you navigate special events such as artist signings, giveaways, a “3D Printing Essentials” panel, a scratch session and meet-and-greet with visionary turntablist DJ Qbert, and so much more. Designer Con 2017 is an annual art and design convention that smashes together collectible toys and designer goods with urban, underground and pop art. DCon is over 90,000 sq. ft. and features over 400 vendors, art and custom shows, live demonstrations and more. The show coordinators strive to provide a fun, safe, comfortable environment for fans, artists and vendors to meet. The show happens every November at the Pasadena Convention Center for a weekend of fun, toys and art. The show is a fan fest, it’s about having fun and meeting your favorite artists, designers, and manufacturers — it incorporates everything from the world of design such as apparel, plush, printing, sculpture, designer toys, and art ranging from fine to urban. At Designer Con you will find all your favorite artists and brands. With over 400 vendors and artists, art shows, show exclusive items, panels and presentations, and more. As part of the VIP ticket, you will have access to live panels and the Saturday night party. The MC for the panels and party will be Mark Brickey, the host of Adventures in Design. Dance to the sounds of Z-Trip at the party on Saturday night. Z-Trip’s style of mixing has been recognized with the award for America’s Best DJ. Watch some of the hottest artists battle it out during the live art battle called Secret Walls. Remember the evening with exclusive merchandise from Mishka. On October 27, 1917 Grand Central Market opened its doors to Angelenos and has been in continuous operation ever since! The Market thanks Angelenos for 100 years of support with a day-long birthday celebration on Friday, October 27, 2017. The day’s festivities begin at 9:30 a.m. with the unveiling of a massive, 100-layer birthday cake created by Valerie Confections — with free slices for everyone. Kids 12 and under ride nearby, historic Angeles Flight for FREE all day. 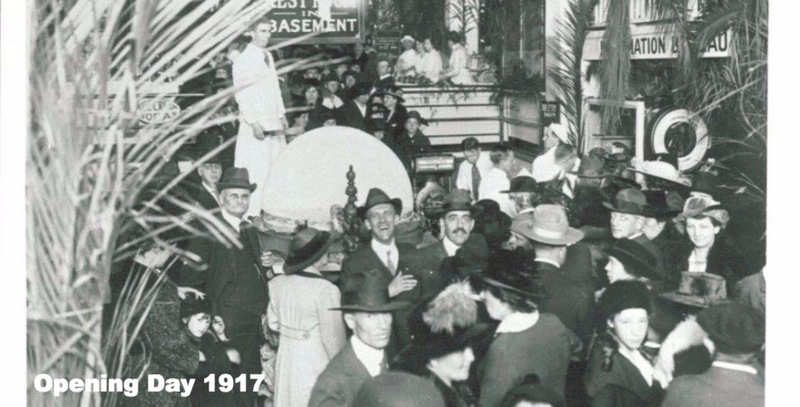 Join us from 6:00 p.m. – 10:00 p.m. when the Market hosts a 100th Birthday bash. Market vendors will serve up menu items and specials inspired by the iconic food hall’s history and the number 100. The evening will be filled with musical groups representing different decades of the Market’s history, a vintage costume contest for prizes, vintage photo booth, commemorative lapel pins, book signing of The Grand Central Market Cookbook, and more. 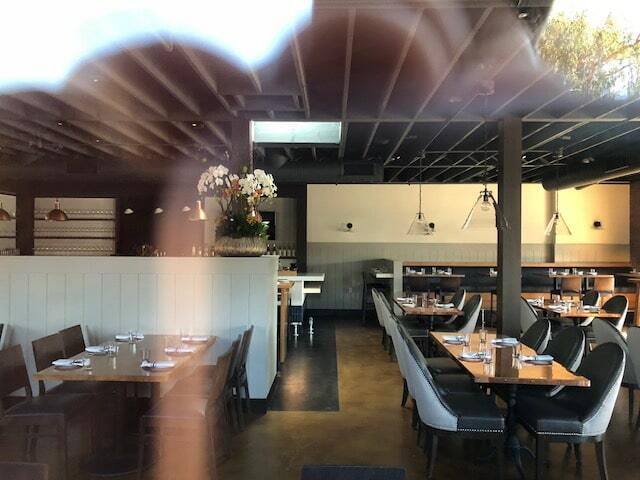 Plus visitors who check in at the Market between 6 – 10 pm receive a token for a FREE round-trip ride on Angels Flight. An Electric Car Guest Drive event hosted by three Southern California utilities will be held at Pasadena’s Brookside Park on October 28, 2017 from 10am to 4pm. The Ride & Drive and EV enthusiast meet-up will feature a wide variety of electric cars including the new Chevrolet Bolt and Volt, and electric cars manufactured by Tesla, BMW, Ford, Nissan, VW, Audi, FCA (Fiat Chrysler), Hyundai Sonata, Mercedes, Smart and others. People who would like to drive these electric cars may register to receive an invitation and confirm drive time availability. The event sponsors are: Pasadena Water & Power, Glendale Water & Power and Burbank Water & Power. Displays and educational demonstrations of the most popular Electric Vehicle charging stations will be available for hands-on viewing at the event. Educational representatives will be on hand to discuss methods of fueling EVs using domestic and renewable sources of energy. The time has come for another epic battle… and this time there is no Pay-Per-View needed. Our highly anticipated Annual Vegan Chili Cook-Off is upon us and it will all go down Sunday, October 8th. We’ve curated an all-star cast of local chefs and judges to bring you one of our favorite events of the year. $10 gets your five 3-ounce tastes of delicious chili and one voting ballot for the Peoples’ Choice Award! 12pm – While Supplied Last! Mark your calendars – This competition will be hot n’ spicy!